After a rough few nights of trying to sleep with only one working nostril and a swollen throat... I'm actually starting to feel a little bit better, and like myself again... thank goodness! Believe it or not, I'm decorating with LOTS of Christmas-y RED! yay! Last year in my Christmas decorations my goal was to not use any red at all, and it was challenging, but fun :) This year I wanted to warm up our space a bit, so the reds, silvers and natural tones are making a huge statement in our space this time around. I can't wait to show you! Okay, so while I'm working today on Christmas crafts, sewing and putting finishing touches on my decor, I wanted to leave you with some AWESOME eye-candy that my cute friend Kim from The TomKat studio has put together! 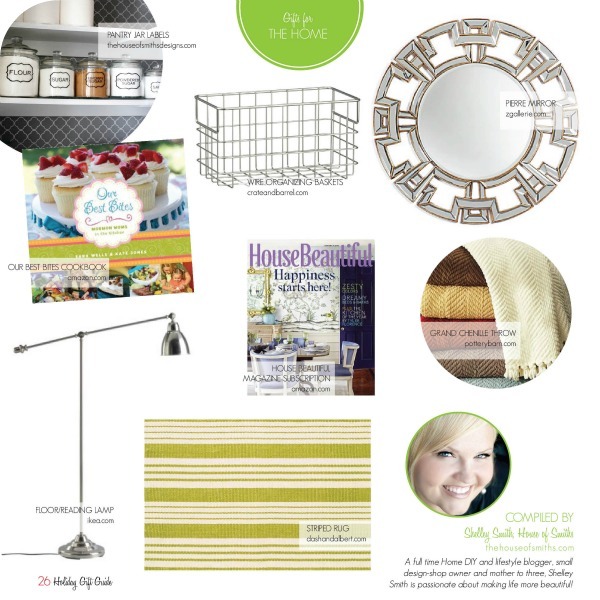 It's the ULTIMATE gift guide for 2011, and it is TO DIE for! There are ALL SORTS of fabulous gift ideas in here, from teens, to dads, to even those pet-lovin' peeps! 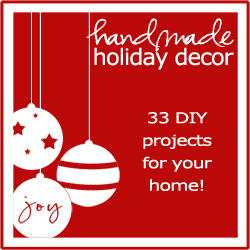 Also, for your viewing pleasure... Myra from My Blessed Life has put together a Handmade Holiday Decor Ebook with over 30 great holiday crafts inside! There are TONS of great craft ideas to flip through, especially if you're trying to stay on budget for your decorating projects this year! So grab some hot chocolate, get cozy and have fun reading!